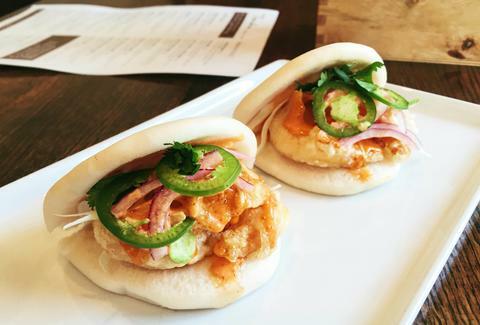 A fluffy bun houses perfectly fried, crispy shrimp, cilantro, crisp red onions, and jalapeños. Topped off with a house-made spicy mayonnaise slaw and a hint of fresh lime, Tomukun's shrimp bun bursts with heady flavors. Have some extra cash? Go next door to the Korean BBQ and grill your own food. The folks at the Songbird Café are dedicated to creating an atmosphere of comfort, and it shows the minute you walk in the door. You immediately smell the coffee, see the baked goods, hear the dull murmur of a healthy cafe. For the ultimate comfort experience, try the grilled cheese trio. Three cheeses -- hard cheddar, smoked gouda, and provolone -- anchor the sandwich. Dense, homemade apple butter is spread on fresh Italian bread, adding some sweet to the savory cheese. Just like mom used to make -- if mom cared enough to can her own apple butter and pick up only the finest cheeses. The Lunch Room is the vegan restaurant in Ann Arbor that can even make kale taste good. What started as a food cart has blossomed into one of the most beloved restaurants in town. Specials change daily, so on one night, you could find vegan bento boxes, and vegan pasties the next. 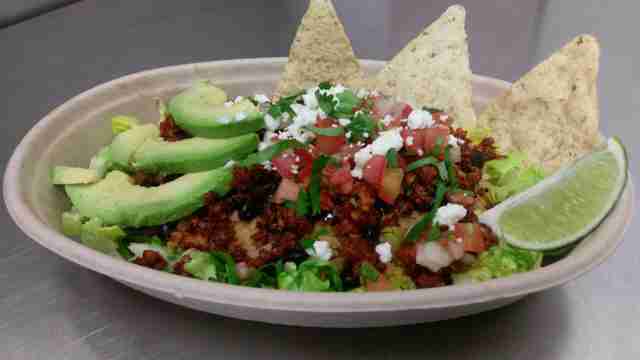 One of the standard offerings, the PowerUp Bowl, is packed to the brim with food to rev you up and get you ready for a night in Kerrytown. 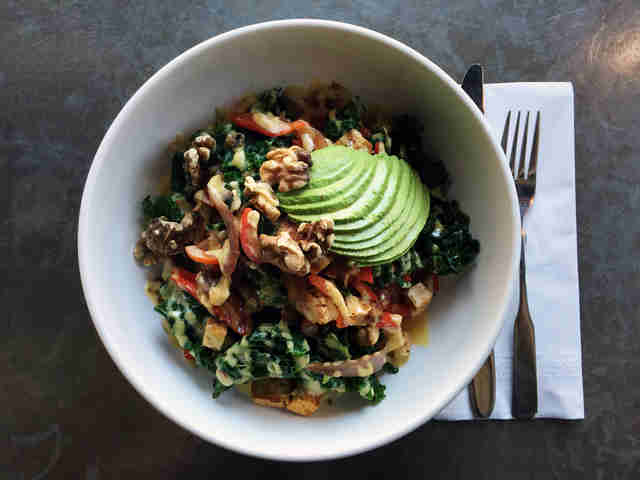 Featuring sliced avocado, walnuts, veggies, grilled tofu, and, yes, kale, this mega-salad is covered in maple-dijon dressing that adds just the right amount of counterpoint. The banh mi at Ginger Deli hits your mouth with a full frontal assault of taste. The tangy house-made aioli and jalapeño get you first; then comes the warm marinated pork, veggies, and cilantro in refreshing tow. The crisp bread finishes out the experience. For $4, you can add a side of vegetarian rolls stuffed with fresh, crispy vegetables and your choice of peanut, spicy peanut, or plum sauce. This unassuming storefront, operated by a former automotive designer and classic pianist, offers some of the best Vietnamese food around. In this small café awaits some of the punchiest tamales you will have in all of Michigan. They're handmade with 100% stone-ground corn masa, and then filled with moist, all-natural chicken or pork. Then Pilar’s distinct spices get stuffed in, along with cheese and optional jalapeños. The tamales are rolled and steamed into a flavorful dish that comes with Pilar’s homemade salsa and a side of curtido. Pilar is committed to serving local and organic produce in her café, and it's apparent in everything she makes... but especially those tamales. The minute you walk into Jerusalem Garden, you know you're in for good Middle Eastern food. The recent move to the space formerly occupied by Seva has only enhanced an authentic dining experience. 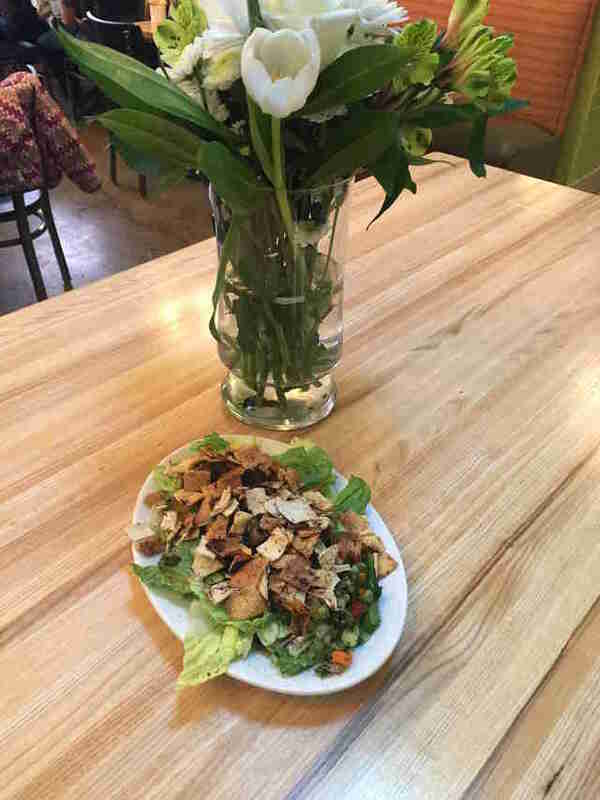 The fattoush salad with chicken arrives with brightly colored greens and diced, fresh vegetables. The free-range chicken breast is juicy and tender, grilled to perfection. The lemon, vinegar, and olive oil dressing play a crucial role in balancing out the taste in this simple yet filling dish. The folks at Eat have recreated those sad, frozen TV dinners in the most delightful way. The foil containers arrive with Salisbury steak covered in rich, creamy gravy, homemade mashed potatoes, and fresh peas with just the right amount of butter. Seating is very limited at Eat, so stock up on these and pop one in the oven when you feel homesick. Its TV dinners rotate, so check the menu when you get there for that day's options. Zingerman’s is THE artisan's market around, touted as great by pretty much every food outlet there is. Because of its commitment to quality ingredients, you will also pay $15+ for a sandwich. But! Zingerman’s Next Door has plenty of cheaper options. Our favorite is the dancing lunch: you get a crunchy baguette that only Zingerman’s can make, mouthwatering meats and cheeses (for which they're especially known), and homemade condiments. As for sides, you get a choice of creamy rice pudding or lightly sweetened applesauce, and tangy cole slaw or mustardy potato salad, and, a small beverage. This is the perfect meal at the perfect price. There are always burritos to be found in college towns, but Chela’s stand out from the rest. The owners grew up on food from Mexican street carts, and craved the same for decades. The result is this simple, homey restaurant on the West Side that skips the deep fryer in favor of somewhat healthier options. The burrito is generously filled with rich, hearty beans and spicy chorizo. The peppery meat is definitely the star of this dish, but the melted cheese is a worthy supporting player. Top with fresh, homemade pico de gallo for a smack of summertime, even in the coldest days. Zesty meat lovers, this one’s for you. Hut-K Chaats cares about what you put into your body, and it shows. Its restaurant at Packard and Platt touts a dedication to “nutrilicious” (nutritious + delicious) food. The approach is simple -- don’t add processed sugars or tons of salt, but do add foods rich in micronutrients, and amp up the spices, herbs, and leafy greens. The masala puri mixes roasted potatoes, chickpeas, and green peas. This savory combo goes on top of baked padi & onions, and addictive chaat sauce is poured over. Add a mango lassi for $2.99 (still less than $10!) and get lost in its sea of full-bodied creaminess. Patti Smith often has less than $10 in her pocket, but always has more than 10 extra pounds on her hips. Follow her adventures in young adult book writing at @WriterPattiFS.